What is a venture philanthropist? 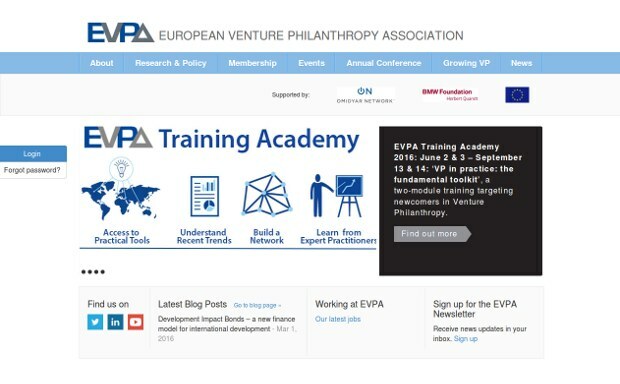 According to the European Venture Philanthropy Association (EVPA), venture philanthropists provide financial and non-financial support to help social purpose organizations increase their societal impact. Aside from financial support, and with it high donor engagement and tailored multi-year financing, venture philanthropy involves other support including networking opportunities, capacity building, and performance measurement. The EVPA website indicates that this industry, still in its early stages has committed investments exceeding 1 billion euros. Venture philanthropy ranges from not-for-profit, pure grant-making, up to impact first investments which also make financial returns.